Some pieces of furniture, you don’t even realise you need. You can host meetings in a variety of places – maybe you’re going to get your clients or employees to gather around your desk, or take them into the boardroom to sit across your stunning boardroom table. Meeting with several people at the same time, the boardroom will be the perfect setting for you, but for a one on one, it can feel a little odd. Whether it’s a one on one meeting, or a brainstorming session for three or four people, a Glasslab meeting table is perfect for you. We currently have two alternative designs of meeting table available in our range, the first of which is the Verno. The Verno meeting table features a triangular shaped surface, made from our 12mm clear toughened glass, and held up by three cylindrical metal legs. The triangular style of the table gives off the impression that the Verno is made for three people to sit around, but that isn’t the case. Although this is the ideal table for a three-way meeting, it’s spacious enough for several other people to gather around it. The Verno meeting table is made to the dimensions of 1400mm x 1480mm x 720mm. 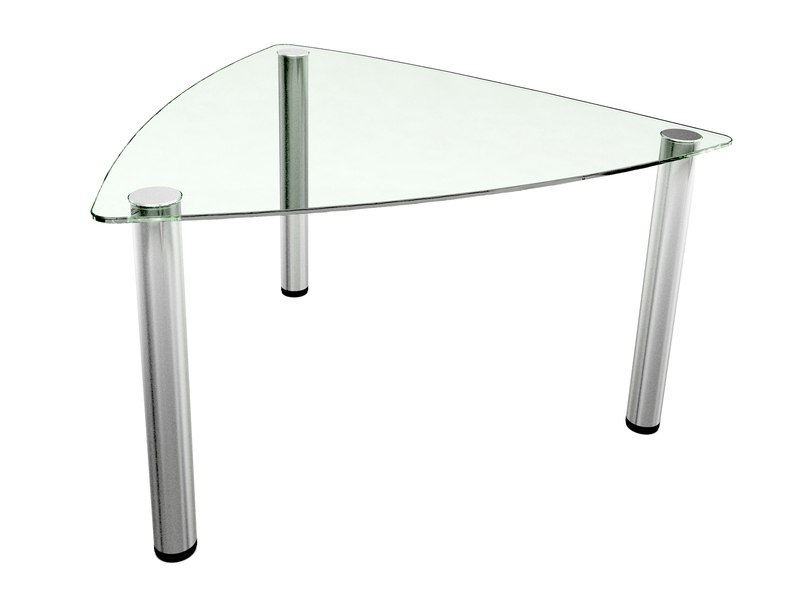 The other design in our glass meeting table range is the Movri. Unlike the Verno, the Movri is 100% glass – no metal legs in sight! The beautiful 1400mm in diameter 12mm toughened glass surface is help up by two intersecting panes of thick glass instead. The round table leaves lots of room around it for people to join in with your meeting or idea session, and stands at 720mm in height. As with all the products we make here at Glasslab, the Movri and the Verno are made to set dimensions, but we do offer a bespoke design service. This means we can make our beautiful designs to whatever size and specifications you require. If we do say so ourselves, it’s hard to dislike the designs we offer in the glass meeting table range, but if neither the Movri nor the Verno are quite what you’re looking for, it doesn’t bring your hunt for a meeting table to an end. As mentioned, we have a bespoke design service, and this isn’t used to just alter our designs to any size you require. If you have something particular in mind, we can help you to iron out your design, or come up with a new one to match your requirements for you. 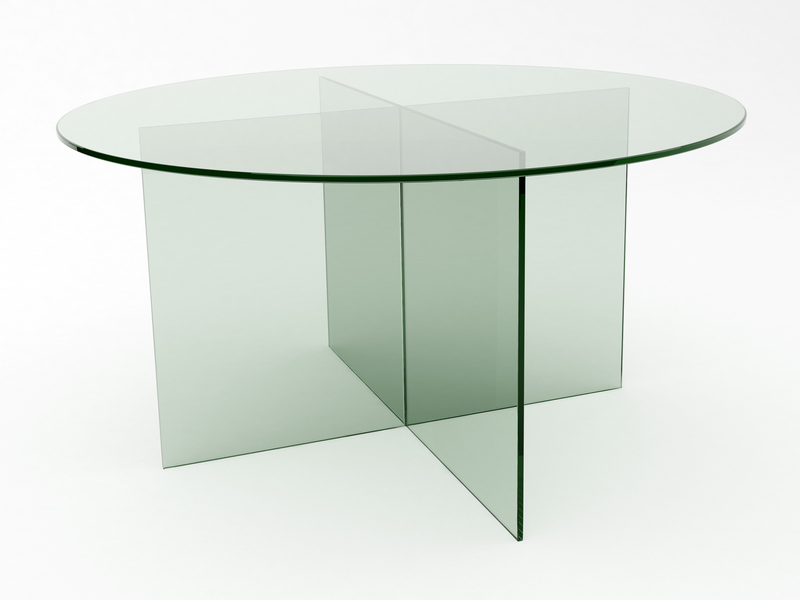 We don’t believe in limitations when it comes to designing stunning glass furniture, so no matter what you’re looking for, we can help to make it a reality. So, do you want Glasslab to help you out with getting a new meeting table in place? Whether you want to order the Movri or Verno, or want to make use of our expert bespoke design service, you contact us on either 01706 341 122, or by clicking here and filling out our contact form. As an extra treat, this month Glasslab have launched a huge £200 gift voucher giveaway competition, so you can get a big discount on one of our meeting tables, other items of furniture, or glass whiteboards. All you have to do is find the competition post on our Facebook page and click ‘share’. Then, like our Facebook page, and you’ve entered! And it’s not just a £200 voucher we’re giving away. Five lucky runner-ups will receive a £50 voucher each. You can find the full details of our exciting competition here.